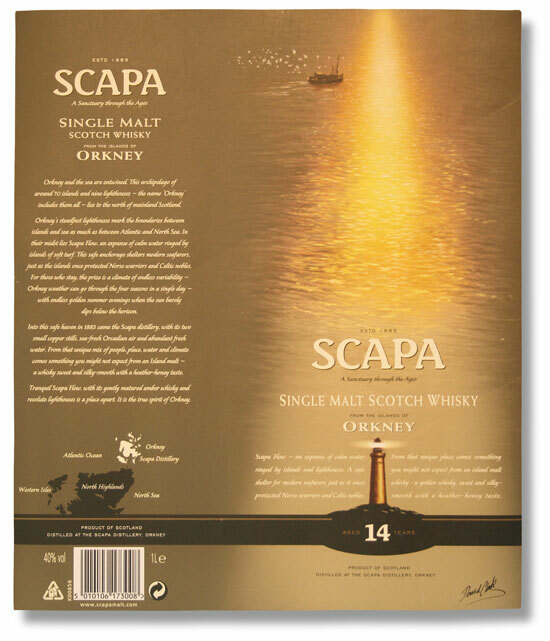 Scapa single malt Scotch whisky. A sanctuary through the ages. Orkney and the sea are entwined. This archipelago of around 70 islands and nine lighthouses – the name ‘Orkney’ includes them all – lies to the north of mainland Scotland. Orkney’s steadfast lighthouses mark the boundaries between peat and brine as much as those between Atlantic and North Sea. In their midst lies Scapa Flow, an expanse of calm water ringed by islands of soft turf. This safe anchorage shelters modern seafarers, just as the islands once protected Norse warriors and Celtic nobles. For those who stay, the prize is a climate of endless variability – Orkney weather can go through the four seasons in a single day – and endless golden summer evenings when the sun barely dips below the horizon. Into this safe haven in 1885 came the Scapa distillery, with its two copper stills, sea-fresh Orcadian air and abundant spring water. From that unique mix of people, place, water and climate comes a sweet and silky-smooth whisky with a heather-honey taste. Tranquil Scapa Flow, with its gently matured amber whisky and resolute lighthouses is the spirit of Orkney. 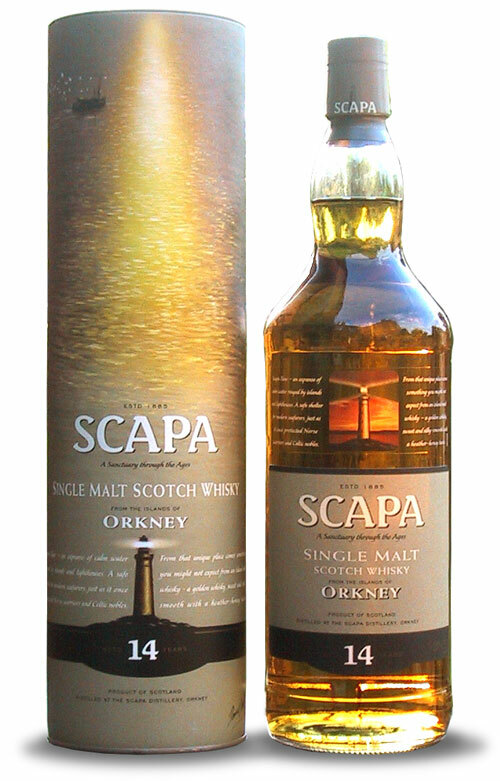 We’re not whisky drinkers, but we do have a soft spot for Orkney, the home of Scapa single malt Scotch whisky. So painting a picture of those islands and their lighthouses was easy. This is the kind of packaging story that makes you feel good about your choice of brand. It’s for nudging you towards a decision in your local wine merchant, and for reading again by the fireside when the glow from the grate ignites the amber in your glass.